Are you tired of feeling ashamed every time you creep into the Young Adult section of BookPeople? Well, the Forever Young Adult Book Club is here to offer you relief! We're a group of adults (technically) who meet at 5 PM the second Sunday of every month. This month’s book is I CAPTURE THE CASTLE by Dodie Smith, so leave your shame at the door, grab a cocktail, and join us! Dodie Smith, I Capture the Castle. Dorothy "Dodie" Smith was born in Whitefield, Lancashire, England. Her father died when she was 18 months old, and her mother took her to live with her grandparents, aunts, and uncles in Manchester. Influenced by an uncle who was an amateur actor, Dodie went on the stage by age 13, playing boy's parts. Her mother remarried in 1910 and the family moved to London. Dodie enrolled in the Academy of Dramatic Art and pursued a career as an actress for several years, with little success. In 1923, she gave up acting and took a job as a toy buyer for a department store. In 1929, she went to Leipzig, Germany for the annual toy fair, and spent some time with a friend at an inn in a small German village. 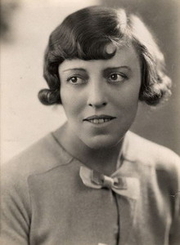 On her return to England, she wrote a play, Autumn Crocus (1931), which became a hit. The "girl playwright," as the newspapers called her, then had five successful plays in a row on the London stage. In 1938, she moved to the USA with her companion and business manager, Alec Beesley, who was a pacifist. They married the following year. She began working as a screenwriter in Hollywood in 1941. In 1948, she published her first novel, I Capture the Castle, which was an immediate success. She returned to Britain in 1951 and had another major success with The Hundred and One Dalmatians (1956), later adapted into the hugely popular animated film by Disney. She continued to write books for adults and children into the 1980s, including her four volumes of autobiography, Look Back With Love: A Manchester Childhood (1974) followed by Look Back With Mixed Feelings, Look Back With Astonishment, and Look Back With Gratitude. Dodie Smith is currently considered a "single author." If one or more works are by a distinct, homonymous authors, go ahead and split the author. Dodie Smith is composed of 12 names. You can examine and separate out names.